An exclusive resort located off the southwestern coast of Haiti on the island of Ile-a-Vache, which is a 15-20 minute yacht ride from the port city Les Cayes. The island is known to be 10 miles long and 5 miles wide. The resort is the ultimate serene place for a great vacation and adventure with its spectacular views, and softly white sand. Transportation to the island is done either by car, plane (Tortug’Air flights), bus or boat ride. Click on links for their photo gallery, history and guest comments. Room Rates: Click here (including booking & cancellation policy). MasterCard & Visa cards are welcome. Amenities / Services: Bungalow style accommodations with spacious rooms & balconies, wireless internet, air-conditioning, ceiling fan, full windows with great view of the sea, maid service, deluxe beach house rooms & suites, gourmet dining in resort restaurant serving 3 meals a day. Conferences & weddings are welcome. Pick up service from airport to resort. 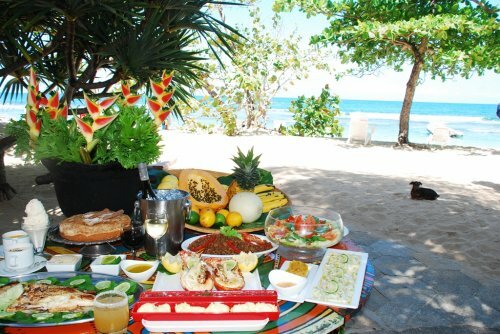 Activities: Diving, relaxation on a hammock, horseback riding, water-ski / jet-ski, snorkeling with rentals, tubing & fishing, sailing, beach volleyball, nature walks, pool, ping pong & darts, guided hiking & sightseeing of local villages, waterfalls and caves; excursion to Lover’s island and much more. Go to Abaka Bay Resort's Website. Hotel is about 1 hour of the International Airport of Port-au-Prince in the region of la Côte des Arcadins. Amenities / Services: 210 rooms, 15 junior suites, apartments & offices; conference rooms; restaurants with bars; club & theatre room; beach & pool; A/C & Wi-Fi; children’s park; massage on premises; babysitting, dry cleaning; hair salon, first aid room on premises and parking available and 24 hr security. Activities: tennis, basketball, sand soccer, football, ping-pong, golf, beach volley, kayak, aquatic gym, regular gym, excursions, historical and cultural tour guides and shopping. Website supports French, English, and Spanish language. Go to Club Indigo's Website. It is the only beach hotel on the north coast that is conveniently situated in the middle of trip excursions to Labadee, Cadrasse, Amiga Island and La Citadelle. Room Rates: Double- $150 US with MAP; Single- $92 US with MAP plus 15% taxes and service. (MAP: full American breakfast and dinner a la carte included). For specials and discount rates, click here. Amenities / Services: 34 rooms with A/C, free breakfast, bar/lounge, beach, wireless internet, balcony facing the ocean, tropical park, free parking, room service, kids’ activities & pets allowed. Hotel offers wedding, honeymoon and conferences arrangements. Go to Cormier Plage Resort's Website. Amenities / Services: New Upscale Hotel under Swiss Management. Large Restaurant and Veranda for up to 100 people. Restaurant features creole and international cuisine. Website supports French and English languages. Location:Route Nationale, No.1, KM77, Montrouis, Haiti. Go to Moulin Sur Mer's Foundation Website. Situated off the coast of Les Cayes, Haiti, this beautiful tropical island gives visitors their ultimate paradise by providing different types of activities and community projects that the visitors can embark on during their stay. It is the perfect getaway for a simple family reunion, wedding celebration, peaceful retreat or honeymoon. Amenities / Services: Beach, conference rooms, exercise camp, local & nature tours, snorkeling, diving, fishing, kayaking & sailing, yoga/Pilates, cultural festival, art expo, youth camp, crafts, Christmas & New Year events, team building, health program and student interns. Environmental activities: Tree planting, beach cleanup, energy conservation, recycling, local park design, waste reduction program. Go to Village Vacances' Website. The hotel has an ocean front paradise just 45 minutes to an hour North of Port-au-Prince. Rates include breakfast, taxes and service charge. Amenities/Services: 26 rooms with ocean / pool views , 2 suites, 2 apartments, 3 beaches; conference rooms, weddings & parties; windsurfing, sailing, diving and snorkeling, tennis, riding, country horseback expeditions, beach soccer, volleyball , island cruising & deep water fishing. Reservations: For reservations, click here. Photos: For rooms’ design, click here. Go to Wahoo Bay Beach's Website. Allamanda Bed & Breakfast is a two story converted residential building offering 6 rooms and 1 suite to travelers. It is located in the Business Center of the country, Pétion-Ville which is 4 miles from downtown Port-au-Prince and 6 miles from the Toussaint Louverture International Airport. Amenities / Services: Complimentary breakfast, climate control rooms, hair dryer, wireless internet access, daily in-house laundry & professional dry cleaning services, queen size bed, work desk, private bathrooms, courtesy of takeout meals at nearby restaurants, terrace bar, informal buffet dining. Go to Allamanda Bed and Breakfast's Website. Ayiti GuestHouse is a family run lodging business that this located minutes away from the downtown area of Port-au-Prince. For reservations and rates, click here. Amenities: Meals, shared & private rooms, terrace view and more. Go to Ayiti GuestHouse's Website. Go to Estinfil Guest House's Website. 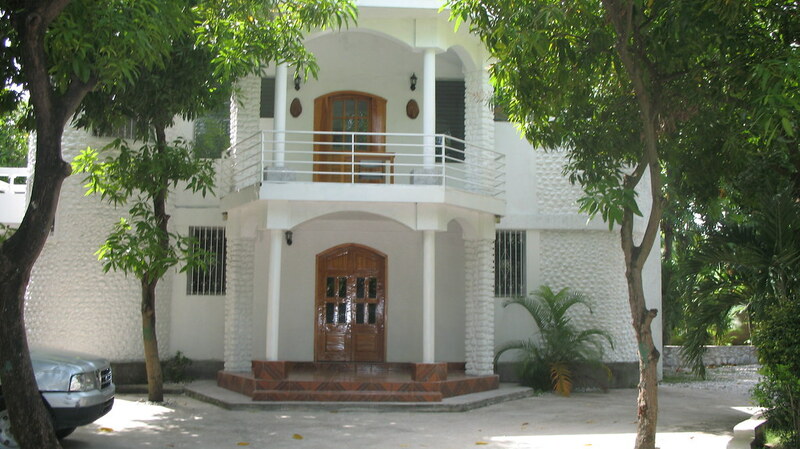 Private Guest House provided by HaitiTravelAdventures.com that offers tour packages to Haiti. Private showing of the units is available upon contacting them. For room rates, click here. Amenities: Short and long term stays, private apartment style units and bathrooms, meals and beverages, solar hot water, electricity with inverter-generator, high speed satellite internet, house staff fluent in English, French and Creole. Nonprofit organization provides guest house accommodations to their visitors and those serving other organizations. The guesthouse has 4 bedrooms and is able to accommodate up to 12 guests with bunk-style dorm rooms. As an introduction to Haiti and Three Angels Children’s Relief, all guests are encouraged to attend the “Welcome Meeting”. This volunteer-based organization also runs an orphanage, school and medical clinic in Petion-Vile, Haiti. Location: 91 Delmas #19, Petion-Ville Haiti, W.I. Amenities / Services: 2 meals a day, 4-hour electricity, free Wi-Fi, running water & heated showers, flushing toilets, safe drinking water, secure transportation, cozy patio and friendly staff. Go to Three Angels Children’s Relief – Guest House Website. Friendly, affordable guest house conveniently located fifteen minutes from the international airport; 8 minutes from Petion-Ville and about 20 minutes from downtown Port au Prince. Guests will enjoy Haitian paintings and other local decorations that characterized culture, philosophy and life locally. Rooms’ reservations can be booked online. Room Rates: Click here. MasterCard & Visa cards are welcomed. Amenities / Services: Two large rooms with bunk styles beds for groups / individuals equipped with bathrooms, hot shower, A/C and WiFi internet; Private rooms equipped with twin size beds, A/C, hot shower and WiFi internet, closet and desk; Conference / meeting room equipped with white board, projector & other items; Lounge area; Restaurant (open 7am-11pm), American style breakfast & Haitian style diner; Board games. Airport pick up is available upon request. A project of Magepa S.A, the hotel is committed to providing their guests with a safe, clean and eco-friendly environment that will give them a peace of mind. Room Rates: Standard room: $76.00; Superior room: $87.00; Extra fees per person: $20.00 (taxes and energy included). Special prices are offered for extended stay. Be advised to check website for latest updates. Amenities / Services: Room service, housekeeping, Wi-Fi internet, satellite TV, breakfast (American, Creole & continental), snack bar, bistro, laundry and ironing, special meals available upon request. Email: info@arawakhotels.com or visit their contact page. Go to Arawak Hotel's Website. Auberge du Québec is particularly convenient to travelers and tourists being centrally located in Carrefour, a few minutes only Port-au-Prince. Click link for hotel photos for a beautiful scenery. Children are welcome and they accept major credit cards. Location: Thor 67 #15, Carrefour / P.O. Box 2001, Port-au-Prince, Haiti, W.I. Amenities / Services: 54 comfortable & air conditioned rooms, private bathrooms, oversize pool, free private parking, security service, Haitian & Quebec cuisine, pleasant customer service. Go to Auberge du Quebec's Website. It is situated in the eastern area of Port-de-Paix at 3 km of Haiti's most beautiful coastal town, on its north western side. Call the hotel for room rates. Amenities / Services: Complimentary breakfast, air conditioned rooms, TV, wireless internet access, conference room, bar-restaurant, room service, hot & regular water, free 3min international calls at front desk, laundry services, 24/7 electricity with standby electric generators, free parking, 24-hour security agent. Go to Breeze Marina Star Hotel's Website. Its location is at the heart of the historic Township of Jacmel on the southern peninsula of Haiti's Caribbean Sea. For any sightseeing attractions during your stay, click here. The hotel’s website has listing for both emergency information and embassy contacts information. Location:Route de Lamandou, Rue Luce Turnier, Dos de L’eveche de Jacmel, Jacmel, Haiti W.I. Go to Cap Lamandou Hotel's Website. Provides a listing of hotels located in the Caribbean. The Coconut Villa Hotel is conveniently located just minutes from Delmas road and two miles from the International Airport and the Industrial Park. Email:CoconutVillaHotel@prodigy.net or visit their contact page. Go to Coconut Villa Hotel's Website. A family-owned hotel located 2 minutes from the international airport and 10 minutes from the downtown area. Surrounded by tropical trees, it is the ideal area for quietness. Room Rates: Single $100 US, Double $150 US included tax and breakfast. Special rates are available for groups, business and longer stay. For updates, click here. Amenities / Services: : Large rooms & apartment style bedrooms with free internet access, cable TV, fan & air conditioner, small fridge, garden view & balconies, 24-hr electricity, pool, small gym, restaurant & bar that offers Creole and international cuisine and drinks, and catering upon request. Go to Habitation Hatt Hotel's Website. Go to Hotel Florita's Website. Located at the heart of Port-au-Prince, Haiti, the hotel offers spacious accommodations for business and personal trips. Amenities / Services: Conference rooms, air conditioned rooms, TV, multimedia projector, wireless internet, sound system (including Microphone), swimming pool, restaurant, lounge, panoramic terrace, and private bathroom, sport bar, balcony. Go to Hotel Ibo Lele's Website. Private-owned family hotel on a 40-acre land that offers different types of fruits and garden specimens on their property. The hotel is close to the towns of Papaye, Cerca Cavajal, Hinche and Maissade. The hotel plans to build 30 extra rooms with quarters for basketball, tennis, pool and equestrian activities. For hotel pictures, click here. For Hinche’s profile and sightseeing, click here. For directions to hotel by car and by plane, click here. Amenities / Services: Conference rooms, professional activities, Haitian breakfast continental and dinner, television, bar open daily 1pm-9pm, rooms equipped with satellite TV and internet, games such as checkers, domino and crocket, lake fishing, garden, lake and library. Go to Hotel L'Ermitage De Pandiassou's Website. Hotel Le Gou-T at Saint Marc is a full service lodging for overnight accommodations. The hotel overlooks the west side of the island and places you in the heart of l'Artibonite.The International Airport of Port- au -Prince is about 90 minutes away, easily accessible by way of Route Nationale #1. Amenities / Services: 46 rooms air-conditioned with views of gardens, mountains and pool, continental breakfast, wireless internet access, TV, small refrigerator, bar, non-smoking rooms, concierge desk, secure parking, housekeeping & service animals are allowed for people with disabilities. Not all features and services are available in all rooms. Go to Hotel Le Gou-T's Website. E-mail: lemanguierhotel@yahoo.fr or visit their contact page. Go to Hotel Le Manguier's Website. 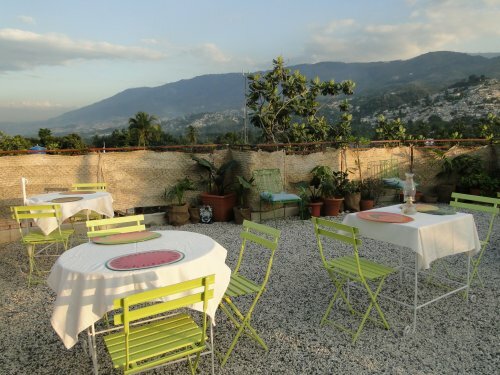 A destination unto itself, the Hotel Oloffson provides lodging near the center of Port au Prince, Haiti. Amenities / Services: Wireless internet, swimming pool, a famous bar where the house band RAM plays most Thursday nights, a fine restaurant featuring local and international cuisine, gift shop, a lush tropical garden replete with fruit trees and Vodou sculptures, laundry service, 24-hour security, a friendly staff who can assist you in finding reliable drivers and guides. Go to Hotel Oloffson's Website. Go to Hotel Oloffson's Wikipedia Page. Hotel Villa Créole continues a half century tradition of welcoming distinguished travelers to Haïti, with an international reputation for discreet service, impeccable accommodations and a friendly staff. Amenities / Services: Internet access and cable TV, sporting facilities, gardens and public spaces for relaxation. Go to Hotel Villa Creole's Website. Hotel is known to be a Haitian paradise decorated with mahogany furniture, Haitian sculptures, hand-crafted objects and an indoor garden that brings the beauty of Haiti's nature to its guests. 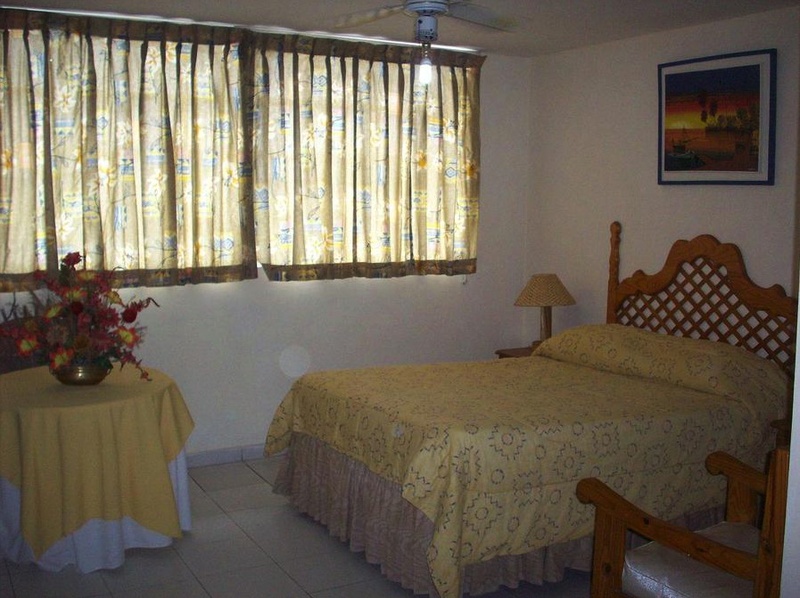 It is conveniently located near banks, shopping centers and is about 15 minutes from the Airport and 20 minutes from all the galleries and restaurants in Petion-Ville. Room reservations can be booked online. Room Rates: Click here. American Express, MasterCard & Visa cards are welcome. 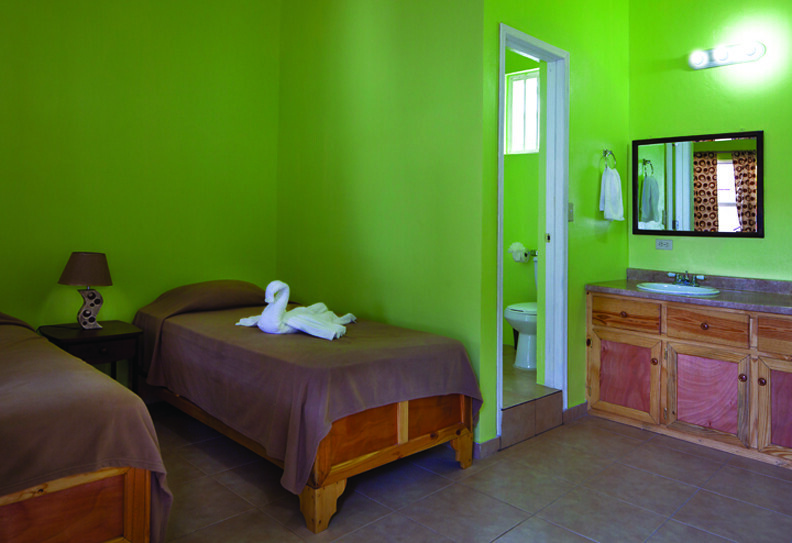 Amenities/ Services: 14 rooms ranging from single, double and triple rooms and suites; 10 apartments with 1 to 2 rooms; all rooms equipped with A/C, phone, ceiling fans, cable TV, hot water, small fridge, 24hour electricity; Room service, Bar, Pool, Pool table, Restaurant with international cuisine & traditional Haitian cuisine, Meeting space, Reception, Catering service & barbecue. Email: Visit their contact page. Go to Karibe Hotel's Website. The Kinam hotel is a remodeled Victorian Gingerbread-style mansion that offers 36 charming rooms, 4 luxury master suites with special Haitian design style. All the rooms are attractively decorated and equipped with modern amenities. For restaurant menu, click here. For their apartment styled hotel – Le Ritz, click here. Amenities / Services: Conference rooms with sound systems, TV, projector and VCR, AC, cable & satellite TV, refrigerator, phones with local and international access, internet access, restaurant, pool, French and Creole cuisine and terrace. In-house catering for weddings, anniversaries, communion and more. Go to Kinam Hotel's Website. A privately owned hotel that is known to be the most luxurious hotel in the southern region of Haiti Gelee Beach, Les Cayes. Room Rates: Click here or contact them directly. Discounts available on group packages. Amenities / Services: Internet, filtered portable water, A/C, TV, continental breakfast, free parking and valet parking. Email: vfrancois24@yahoo.com or send direct email. Facebook: http://www.facebook.com/pages/LABICHE-HOTEL . Photo Gallery: http://labichehotel.webs.com/apps/photos . Go to Labiche Hotel's Website. Le Plaza Hotel is located at the very heart of Port-au-Prince. They recommend that you to book your stay directly and safely online. Amenities: 95 rooms and suites and 5 spacious meeting rooms; complimentary wifi Internet access, buffet breakfast, lunch, snack and dinner at La Terrasse bar and restaurant and much more. Website supports both French and English languages. Go to Le Plaza Hotel's Website. Hotel is located just 15 minutes from les Cayes Airport and 25 minutes from the beach “Gelée Plage”. For history about the hotel and Camp-Perrin, click here. Amenities / Services: Air-conditioned rooms, wireless internet, restaurant, bar lounge, pool, parking, security, 24-hr electricity. Hotel space is available for reception, graduation, conferences, seminars and weddings. Go to Le Recul Hotel's Website. The Palm Inn hotel is a family run lodging business that is situated approximately 2 minutes from the International Airport, 5 minutes from downtown and recreation centers and 30 minutes from the beach. It has a historic look as palm trees line the aisles of the hotel’s colorful gardens. Amenities / Services: Spacious studios & apartments, room service & breakfast, refrigerator, oven, phone, radio, 24 hr electricity, TV, A/C, secure parking, hot water, playground, bar & restaurant, pool, basketball, table tennis, fitness, front desk and game rooms. Go to Palm Inn Hotel's Website. You’ll be welcomed into small groups of local-style houses harmoniously interspersed amongst the vegetation. Amenities: Bungalows, massage, restaurant, surfing and much more. Phone: (509) 3921-0000 / 3922-0000 / 3923-0000 / 3663-5164. Go to Port Morgan Hotel's Website. Hotel opened its doors in 2011 with affordable room rates and quality service. They welcome short stays from a work break to longer stays. Any cancellations must be made at least 12 hours prior the arrival time. Amenities / Services: Single and double rooms with A/C and television, restaurant with creole cuisine, receptions on premises, bar. Go to Prestige Hotel Bar Restaurant's Website. Satigny is a secure gated community that provides a Bed & Breakfast with daily, weekly and monthly rates, and a conference center. It is located in Thomassin, just 15 minutes from Pétion-Ville. Their staff is fluent in French, English and Spanish. Room Rates: Standard $70US (breakfast included); Superior $90US (breakfast included); additional guest for $20US. Groups’ rates are also available. For updated rates, contact them directly or visit their website. Amenities / Services: Garden view, delicious cuisine with lunch & dinner at additional costs, local & international TV, wireless internet, local & international telephone service (with free calls to USA/Canada), banquets, conference room, free airport pickup service & parking on premises, walking/jogging trail, tennis, basket-ball and racquetball courts and a mini-soccer field. Go to Satigny Inn Bed & Breakfast's Website. Located a few miles away from Port-au-Prince, Taj Hotel is in close proximity to the airport and overlooks the bay of Gonaives. The hotel has a multilingual staff (French, Creole, English, Japanese, Spanish, and Indian). They survived the earthquake without structural damage. For hotel & groups’ rates, click here. Amenities / Services: Air-conditioned single / double rooms each with a full bathroom, TV, internet, meals a la carte, complimentary breakfast for two, transportation to and from the airport or around the city, translators available upon request. Hotel provides conference and meeting rooms, banquets, weddings, communions and other special events. Go to Taj International Hotel's Website. Located near the Toussaint Louverture International Airport, this hotel offers its services to business travelers, foreign journalists, diplomats and other visitors at affordable rates. Guests have access to comfortable professional surroundings whether on a business trip or vacationing in the capital of Haiti. Amenities: Short and long term stay, conference rooms, restaurant, high speed internet, cyber café, television via satellite and cable, bars, billiard table, shuttle transportation from and to airport, 24hrs electricity, lounge room, swimming pool, parking and buffet / a la carte menu. Website supports French, English and Spanish languages. Go to Visa Lodge's Website. Marriott International announced Monday that in 2014, it will open its first-ever hotel in Haiti in Port-au-Prince. The announcement was made in Haiti during a ceremony with former President Bill Clinton, Marriott International president Arne Sorenson and other VIPs. "This hotel is one more signal that Haiti is open for business," Sorenson said in Marriott's just-issued press release.Read more. Haiti-based conglomerate WIN Group and Argentine businessman Rolando Gonzalez-Bunster have announced plans to develop the first airport hotel in Haiti, designed by Florida-based full-service design-consulting firm OBM International. The new $33 million, 240-room hotel with conference facilities will be located on a 5.3 acre parcel next to the international airport in the capital city, Port-au-Prince. The new hotel will be the first big new investment in the hospitality sector since the earthquake on 12 January 2010 that killed up to 300,000 people in Haiti. The scheme is expected to be completed in 18 months.Read more. The Clinton Bush Haiti Fund has announced that it invest $2 million to complete construction on hotel project in Haiti, that was halted following the devastating earthquake in 2010.Earlier to the earthquake, the 130-room Oasis Hotel was fully funded and construction was well in progress. While the building itself remains structurally sound, work on the project ceased when several of the original Haitian shareholders perished while others suffered severe financial losses, making them unable to meet their investment commitments to the project.Read more. Reports say that at the time of the earthquake 300 people were inside but yet only 100 made it out alive after the building collapsed.Read more. This beautiful hotel has been destroyed due to the earthquake of 2010. A new architectural construction will be unveiled by Spring 2012. Latest Site Update: 27-4-2015 .